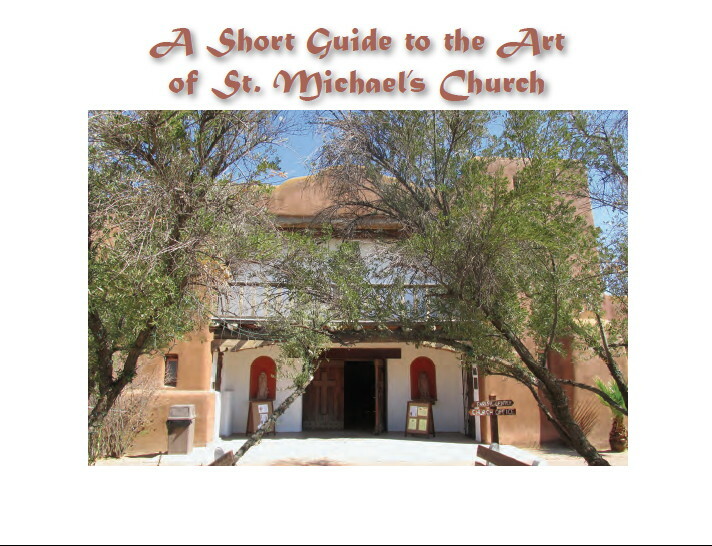 St. Michael and All Angels Tucson strengthens people by word and sacrament to be agents of Jesus’ gospel of justice, peace and love in the world. 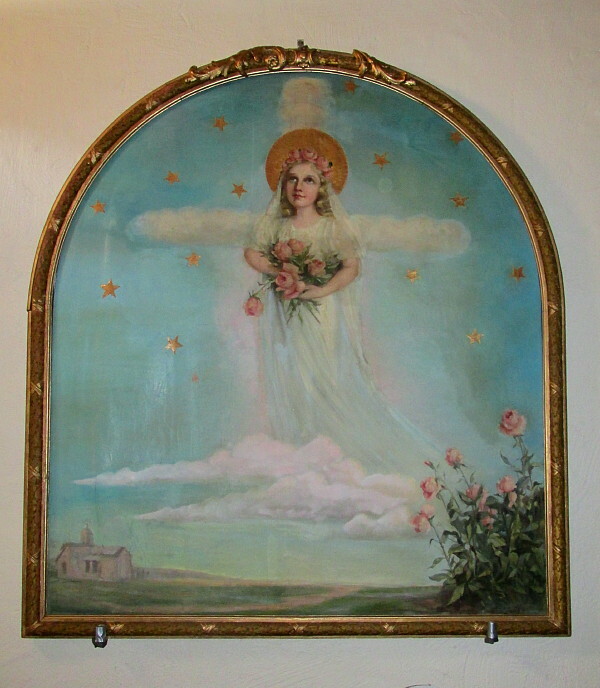 From the Church Office to the Sacristy to the Parish Center, and everywhere in between, one can find a wide variety of paintings, photographs, banners, altar linens, statuary and other examples of the visual arts. 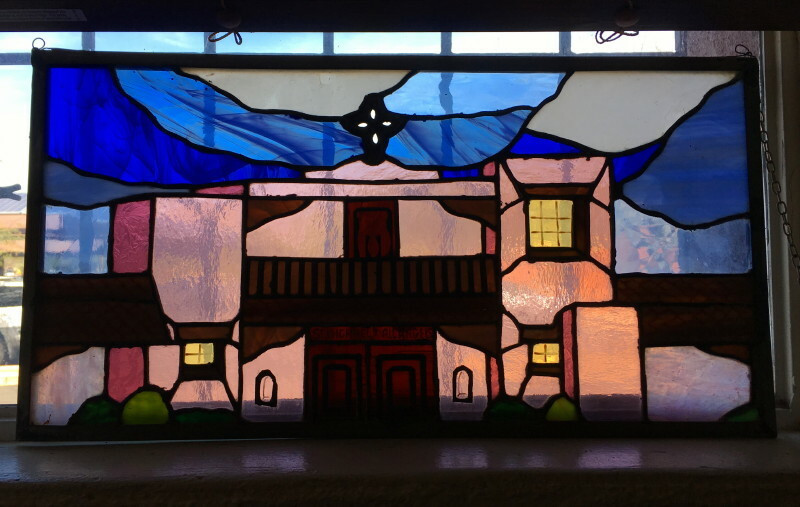 Church front rendered in stained glass, found in reception area of church office. 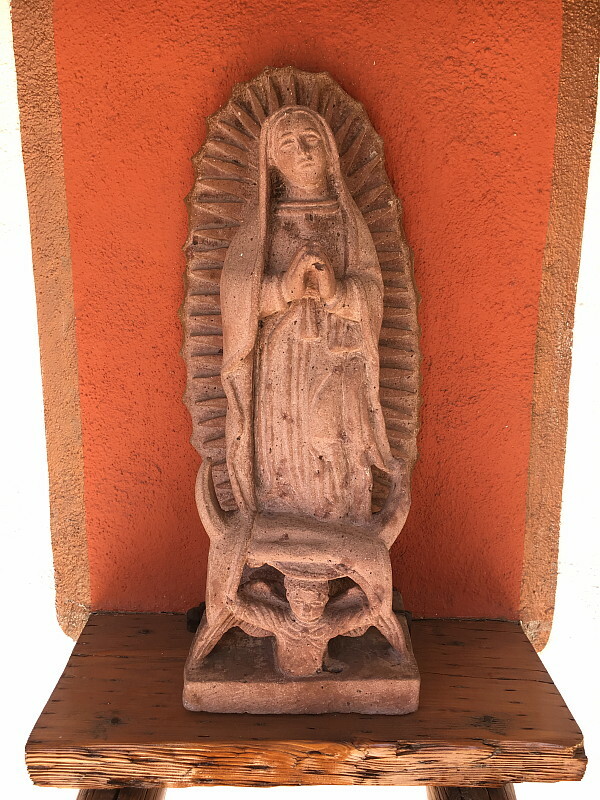 Icon of Our Lady of Guadalupe, found outside church doors. Banners adorn the Smith Parish Center. 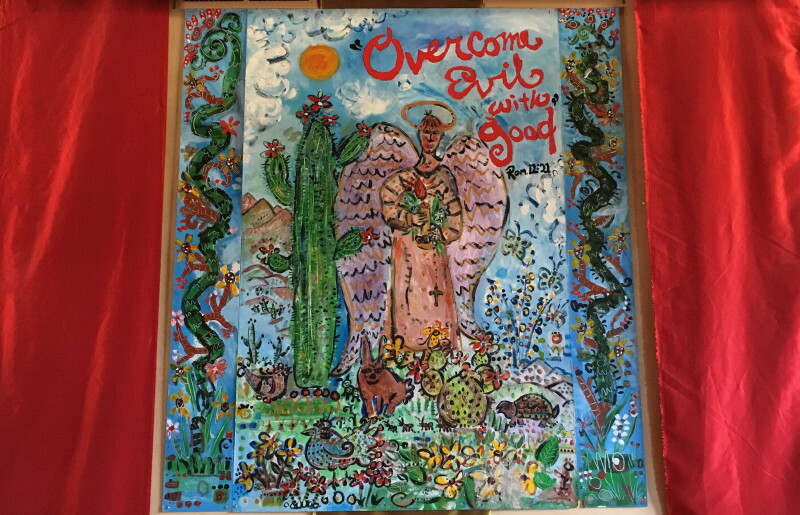 Bob Bennett’s painting, “Overcome Evil With Good,” formerly on the sign outside the church entrance, is now displayed on the back wall of the Smith Parish Center. 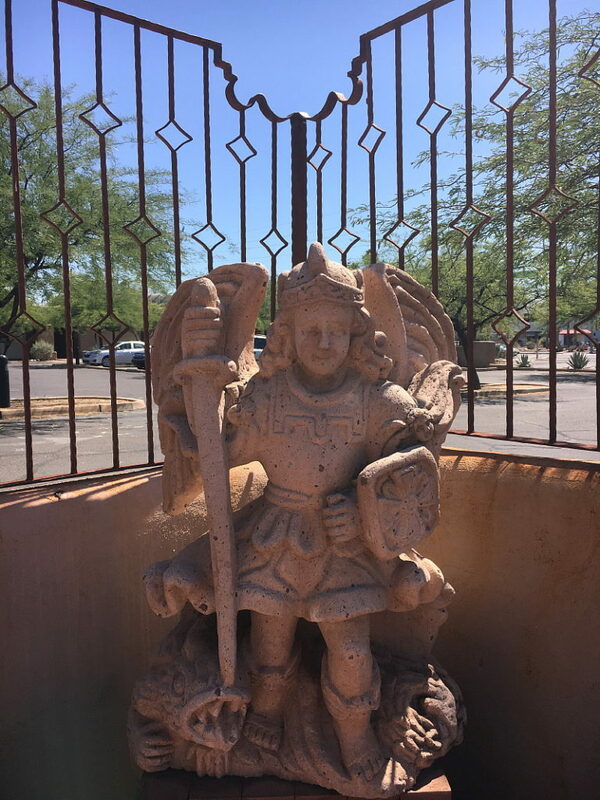 St. Michael the Archangel guards the memorial garden. 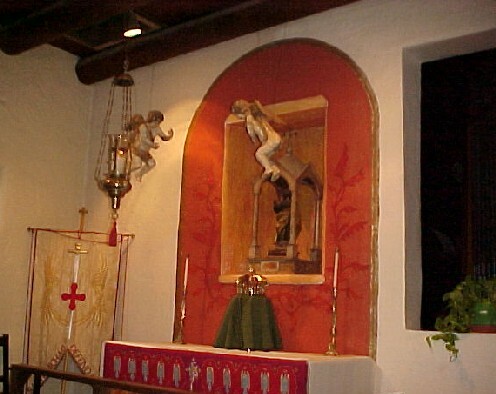 Antique cherubs hover over St. Joseph’s Altar in the church. 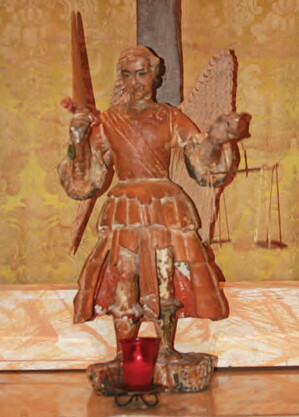 An antique icon of St. Michael guards the high altar. 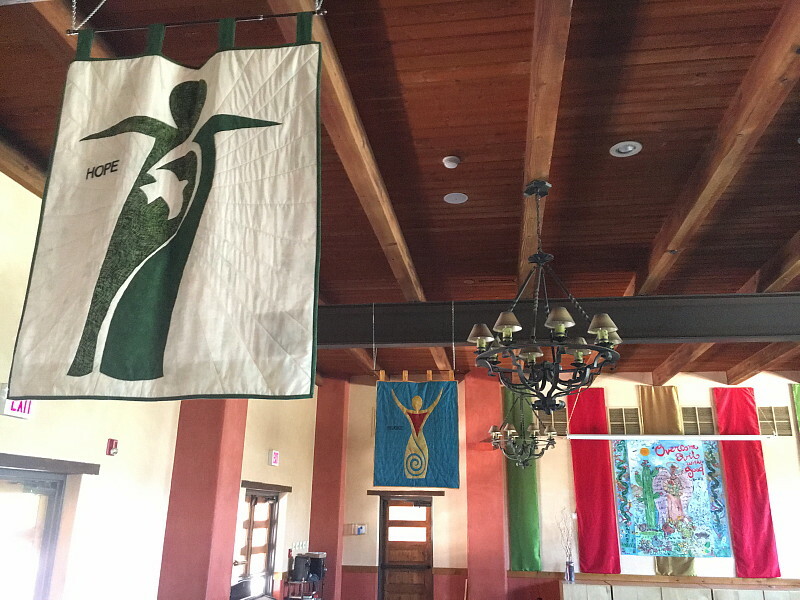 Copyright © 2019 St. Michael and All Angels Episcopal Church All Rights Reserved.